Welcome to the next installment of an ongoing series of FAQ blogs about the core principles of LaL’s methodology. 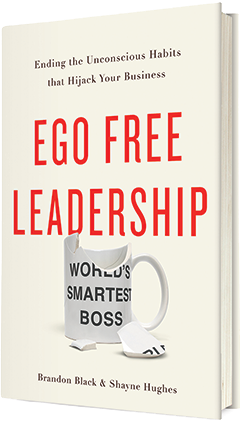 In this FAQ, CEO Shayne Hughes looks at the ego and its impact on leadership. In the executive coaching I do as part of my job at Learning as Leadership, I’m continually reminded of the impact that our egos have on our leadership. I’m often engaged in a discussion about this with my clients, and I’ve noticed that some common questions arise. Below is an FAQ guide on the ego and leadership. I’d love to hear your feedback or any additional questions you have on the topic. Q. 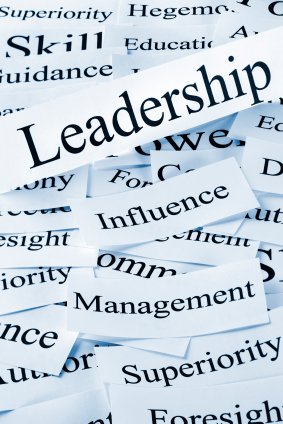 What role does understanding one’s ego play in leadership? A. The LAL definition of ego is ‘being preoccupied with our own self-worth’. If, in a given situation, we are unconsciously (or consciously) focused on our own value or self-image, our leadership capabilities get hijacked. For example, if my ego priority is to be liked by my peers, that may cause me to not address certain issues or challenge others’ ideas, even if I disagree with them. Alternatively, if my ego drives me to be the smartest guy in the room, I may unconsciously fall into debating and rejecting others’ ideas. I worked with one CEO who was frustrated at not being able to hire strong senior leaders. He realized that his ego wanted to be the guy with the answers, so he never hired anyone who was smarter than he was. Seeing this, he was able to move beyond his ego to find far more qualified people – and then let them challenge his thinking. Q. What happens in the workplace when a leader is not aware of his ego? A. Protecting my sense of self-worth can be thought of as a goal. Sometimes that goal and my responsibilities line up. At other times, however, being responsible may entail looking bad or saying something uncomfortable. If we’re not aware of this inner tension, the self-preservation will prevail almost every time. Depending on how an individual self-protects, they might not rock the boat by bringing up bad news, addressing performance issues, or asking for help with their skill gaps. These are examples of ‘defensive ego’ behaviors. But many of us also have very strong ‘proactive ego’ behaviors, such as debating, steamrolling, and over-working. If a whole leadership team isn’t aware of their defensive egos, there is probably little challenging of each other, and a cultural norm of conflict avoidance. In this case, business and inter-personal issues that need to be raised, but aren’t, often escalate into serious performance problems and even crises. When this happens between departments, the impact can be even greater. In one case I saw this dynamic lead to a situation where two executives from two different departments could not get along, so the customer ended up caught in the middle and getting fragmented responses. The result? The customer finally became so angry and frustrated he walked away — taking with him $3 million per year in business. Q. How can leaders within companies benefit from being more aware of their negative patterns and egos? A. When leaders stop the dysfunctional dynamics that are driven by self-protection, they are more able to create an environment of honesty, trust and transparency. In this type of culture, staff are more likely to take risks, say what’s really on their minds and generate true dialogue, commitment and passion for what they are doing. The leader who is aware of his or her negative patterns of ego sets an example by addressing real problems without attacking others. Instead they are able to find the learning edge in each situation that leads to enhanced performance and job satisfaction for everyone on the team. Q. What are the biggest obstacles to leaders taking responsibility for their own egos? A. We are all caught in a huge unconscious collusion in organizations: we are afraid the other person is going to judge us, so we act in ways that are self-protective, guarded and designed to fend them off. The other person in turn sees us as invulnerable and self-interested, and that makes us a threat to them, so they respond in kind. This is a dance neither person likes, both feel victimized by, and each thinks the other person is responsible for. Who will be courageous enough to take the first step to create a different context? It can be awkward and uncomfortable to talk about feelings of being judged, rejected, afraid, uncertain, etc. Many leaders are concerned that they will be scorned for these feelings, or that it will be used against them. At first, it can feel suicidal, until we realize that everyone is desperate for a more authentic way to inter-relate. Q. 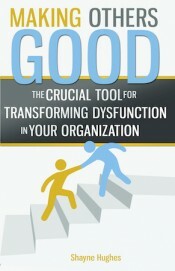 What are some good first steps leaders can take to address their egos? A. Self-awareness. If you don’t see it in yourself, then it’s happening without your conscious input, since we all do it. First, work to identify how your self-worth is at stake. List the situations, responsibilities or relationships that are high-stakes for you, and journal what your concerns, mind chatter, and self-image fears are. Don’t stop until you’ve named at least 7-10 for each project/area. Then review your notes, and you’ll find that certain charged self-worth concerns are recurrent from situation to situation. That’s your ego, going with you wherever you are. That’s where the hi-jack will happen. On a parallel track, learn what the defensive and offensive behaviors are that you fall into. Gather feedback from your boss, peers, reports – and your spouse/partner. They see these behaviors in you but typically avoid saying anything (except your spouse!). Invite the input, even if it hurts your ego to hear it. Take notes, and don’t debate. Let it settle for a few days or work with a coach or mentor to make sense of it. There is a link between the two lists. The former trigger the latter. Self awareness is good, but most everyone doesn’t know what to do after they are aware of themselves. I recommend peer conferencing. My wife keeps me in line. I sometimes wonder what I would be like if she wasn’t in my life the last 14 years. Taking responsiblilty for an ego is something that leaders generally won’t do openly. Personally, maybe. But once they are aware, I think they try to make changes quietly and slowly. Maybe I’m wrong? I agree with you that leaders tend to not work on their egos openly. Few people are up front about their weaknesses or areas for improvement. That’s part of the problem. In the organizations we work with, we aim to break down this taboo. When a leader is transparent about his/her counter productive behaviors, and actively works on them, it can be very inspiring to the people beneath them. Imagine if your boss admitted what his/her difficulties were, invited your support to make progress, and then made changes. How would it feel? I’m reassured when the people around me are forthright about themselves. It lets me know they are thinking about their growth vs. just accepting the status quo. Peers and even mentors are good at working through this, but don’t try to do too much at once. I recommend that when you discuss or give feedback, narrow it down to just one positive and one negative(something to improve) at a time. As with anything, including understanding ego’s, I think that being able to relfect on yourself and others, and then being ablt to share those reflections for more growth is a must. Without open and honest reflection there will most likely be ego problems. I have walked out on clients myself. I can be a little more picky about who I chose to work with. I don’t like ego’s. I remember two times when clients asked why I didn’t want to work with them and I was honest. One came back a year later for a second chance and earned it because I saw a dramatic difference in them from the first time I worked with them. After 3 years we are still working productively together. In my experience, I find that when a leader has an understanding of their own ego, they are much better leaders and more likely to work closely to others, including listening to their ideas. Those without a good idea of their ego usually think they know it all. Leaders in control of their ego allow workers to reach their potential because they are more likely to take a risk (as mentioned) and are generally okay with things not working out as planned because they are not worrying about being judged so harshly.